Froozo is newly opened ice cream place in Malad. 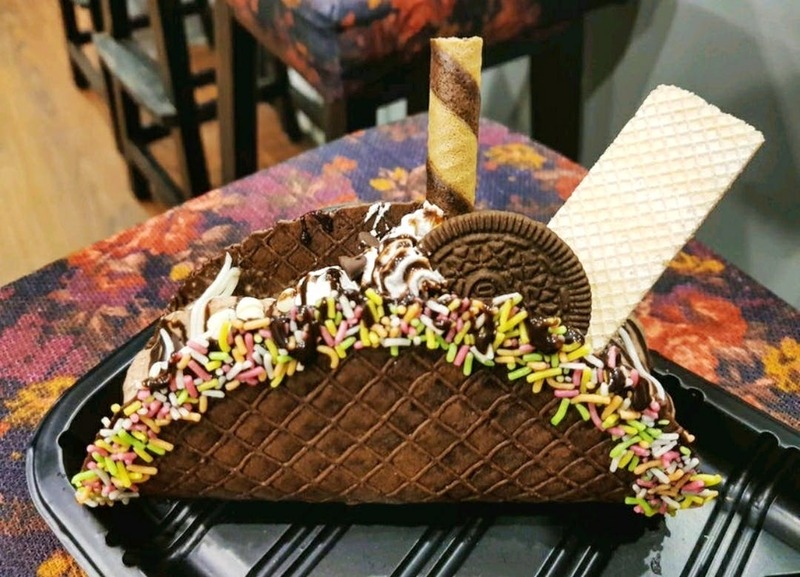 Here you can convert your ice cream into taco ice cream or shake isn't that just great. This little cute taco can serve two people. They experimented with ice cream flavours like they have paan Froozo, gulab jamun Froozo, KitKat waffle, bubble trouble and many more things. Plus, the customisation aspect of your own Froozo is just too awesome to miss out on. They even offer free WiFi. Along with the ice creams, they have some nice munchies like potato crisps, Peri Peri fries, nachos and other such stuff.